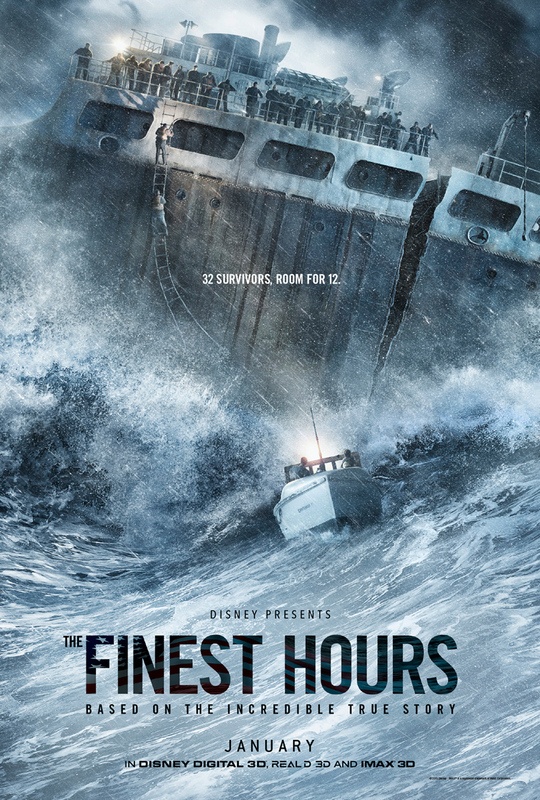 The Finest Hours is the movie version of an inspirational poster. It is the type of film which will be broken down to its teachable moments about heroism and the power of the human spirit by various teachers and church groups. Grandparents will watch this with their comic book-obsessed grandchildren, and tell them afterward, “That’s what real life superheroes look like,” probably completely unaware that the guy playing this movie’s everyday hero (Chris Pine) will soon be in an actual superhero movie (2017’s Wonder Woman). That will be The Finest Hours‘ legacy because the real life story it has to tell is inherently amazing. In February 1952, a devastating winter storm off the Massachusetts coast line ripped two different WWII-era tankers in half, but only one of them, the SS Fort Mercer, was able to send out a distress call, attracting the attention of the local Coast Guard. By the time radar picked up the presence of the second ship, the SS Pendleton, the bulk of the Coast Guard’s resources were already deployed to rescue the Fort Mercer survivors. That left one small wooden lifeboat with a four man crew (led by Bernie Webber, played by Pine in the film) and a max occupancy level of 12 to brave the monstrous waves and frigid temperatures to attempt to rescue the Pendleton‘s 33 survivors. The Pendleton sat in silence for eight hours, improbably staying afloat due to the efforts its Chief Engineer and de facto captain (played with admirable stoicism by Casey Affleck in the film). Just to give some context here, the lifeboat was only 36-feet long whereas the Pendleton, before being split in half, was 503-feet long. If the Pendleton couldn’t withstand the storm what hope did the lifeboat have? It was a suicide mission, to the point that multiple members of the Coast Guard refused to go. That is the type of story which instantly lends itself to remarkably cinematic imagery which doesn’t actually require any real embellishment. That’s why the seemingly omnipresent trailers for The Finest Hours have heavily showcased the insane image of half of a tanker simply floating about in the ocean, as if when the Titanic split in half the back half just stayed above water for a while before eventually going under. Because their circumstances are so extreme, the sequences with the crew on the Pendleton, getting over in-fighting and falling in line with Affleck’s character, are unfailingly compelling. 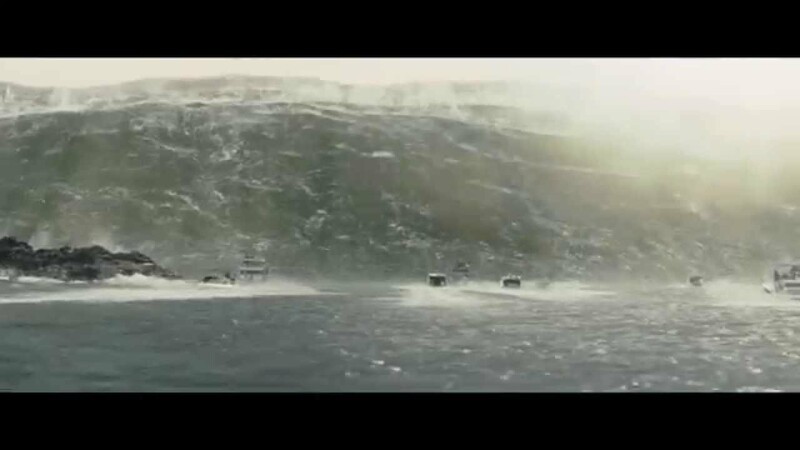 In that context, the improbability of the imagery was tempered by the ever-present reminder, “This is just a movie that’s not meant to be taken so seriously.” However, when Chris Pine and crew encounter slightly less exaggerated, though still incredibly intimidating waves (40-60 feet high) your cynical disbelief is undercut by the reminder, “This actually happened,” and as verified by HistoryVsHollywood much, though not all of what happens in The Finest Hours is accurate. When the tiny lifeboat in this movie hits a giant wave it nearly sinks, contrary to the movie magic propelling Johnson and Gugino ever upward in San Andreas. 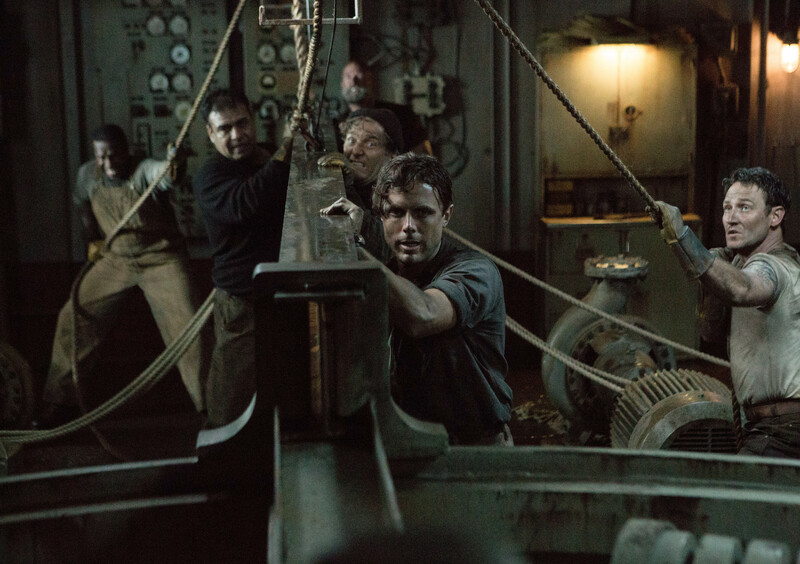 That’s not to say that The Finest Hours isn’t guilty of a little movie magic of its own. In real life, Bernie Webber was already married at the time of the rescue attempt, and his wife was home sick with the flu the entire time. In the film, Bernie and Miriam (a fantastically fierce Holliday Grainger) are newly engaged, and she fears for his life so much that she drives to the Coast Guard station to plead with the man in charge (Eric Bana) to call the lifeboat back. When that fails, she contributes to the relief effort, assisting the local women and older citizens in preparing food and clothing for the Pendleton survivors (assuming Webber can actually pull off the miracle). She becomes the practically literal light leading Webber and crew back home. It is a testament to Pine and Grainger’s performances that as the film progresses you momentarily forget that everything is probably going to turn out perfectly okay. After all, the trailers tout this as being the true story of the most incredible rescue in Coast Guard history, not rescue attempt. However, those two are effortlessly sweet together in the early scenes establishing their whirlwind courtship (she proposes to him after they’ve been dating for just a couple of months), Bernie the shy guy unaware of how handsome he is, Miriam the self-assured woman ahead of her time. Grainger, a British actress who has been working in film and TV since she was 8, fairs slightly better than Pine in the Massachusetts accent department, and she also looks a bit more era-specific than him. That’s fine because she is the emotional backbone of the film, with the script often cutting back to her as a reminder of the potential tragedy at play. If Bernie Webber dies out there in that storm it will break this woman’s heart. It’s a hokey, old-fashioned Hollywood trick, given life largely by the sheer force of Grainger’s will. You sense that you are being manipulated and suspect that the real Miriam was probably nowhere near as involved as her cinematic counterpart. If there’s a flaw with Bernie and Miriam beyond the Hollywoodization of their story it might be that we never truly get to know Bernie, who is seemingly engaged and on that lifeboat before we know it. Pine plays him as a perfectly likable nice guy, quiet and subservient to a fault, disrespected by his peers due to some failed rescue effort in their recent past. His heroism is ultimately attributed to his dedication to following orders and fulfilling the Coast Guard motto, “You have to go out, but you don’t have to come back.” This makes him such an admirable figure that one member of his crew (played by Ben Foster) goes from hating him to begrudgingly respecting him. However, if there’s any insight into what exactly made Bernie that type of person in the first place this movie doesn’t have it. Elsewhere, the film’s consistent and dogged usage of nautical terms, be they thrown about by the crew of the lifeboat or by the 33 men on the Pendleton, risks losing the audience at times. If you are someone who doesn’t even know the difference between basic terms like “stern” and “bow” the advanced nautical terms thrown about in this movie will definitely lose you, and piecing it together using context clues isn’t always possible. Scott Silver, Paul Tamsay and Eric Johnson’s script only really stops to flat out explain things to us a couple of times, once through an old sailor talking to Miriam at the Coast Guard station, another time with Affleck’s character using a boiled egg and a stick as a visual aid to explain his big plan to use a pully system on their rudder to buy them time. The result is that while you are often on the edge of your seat and understand the gist of what’s happening you end up feeling confused far more often you expected. To some degree, that’s an attribute because we are just as lost as Pine and his crew are as they’re being thrown about by the waves. Other times, you just wish you knew what the heck they were talking about. This is a purposefully hokey, old-fashioned movie, with somewhat confusing jargon and a Hollywoodized central romance. However, that won’t matter to the people looking at this as an inspirational true story about overcoming demons and insurmountable odds. Rightfully so, because The Finest Hours is ultimately a perfectly fine film, with a thoroughly compelling story and faithfully recreated “boats at sea” sequences which practically leave you feeling sea sick. 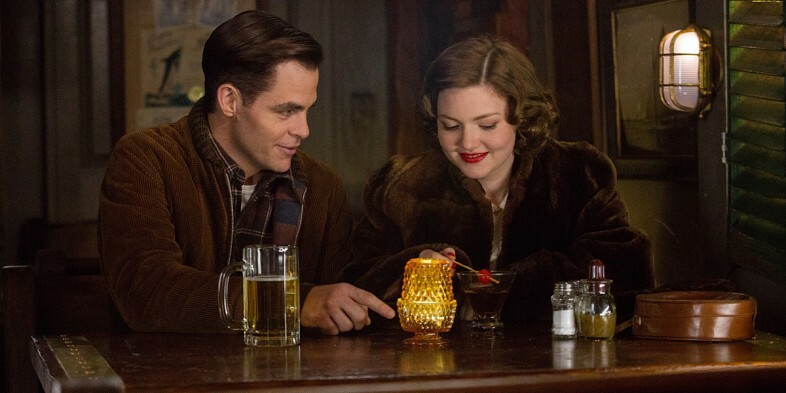 Chris Pine, Holliday Grainger and Casey Affleck all deliver reliably solid performances. Good review.The Finest Hours is one of the best and most emotionally gripping action movies I’ve seen in a long, long time. The action is nonstop in the storm, and the actors go all out to make their performances believable and excellent. I felt drowned at times. To call this an action or adventure movie doesn’t quite hit the mark. It’s so realistic! The special effects are so good…so realistic and convincing that it seems all too real. If this is how the US Coast Guard actually functions, I am so in AWE! It’s just a shame that so few people have actually seen The Finest Hours. Now that it’s on Netflix I’m sure it’s finally finding its audience.